Last week, Washington state’s Senate passed Bill 6086, committing to phase out Atlantic Salmon Net Pen farming statewide. 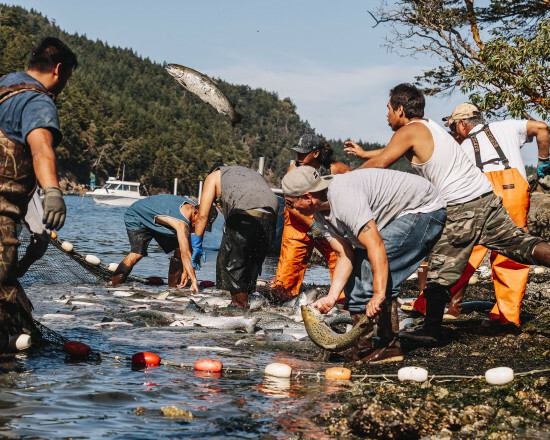 After the net pen spill in August that released tens of thousands of non-native Atlantic salmon into the Puget Sound, this is a step in the right direction for the fate of our local waters and the protection of native wild salmon. The House Agriculture and Natural Resources Committee will be reviewing this Bill Thursday Feb 15. Call your WA State Representatives today! Our State Representatives need to hear from us to know their constituents support the phasing out of net pens. Tell your district Reps to help move this legislation through the state House and ensure Washington’s waters are kept safe from Cooke Aquaculture’s floating feedlots! Washington is the only state on the West coast that has allowed net pens for Atlantic salmon. Hello, I oppose Atlantic Salmon net pens in Washington State and urge you to support legislation banning them. Please support the version of the bill that the Senate approved on February 8, Bill 6086. I care about this issue because protecting the native salmon in our region is important to restore the ecology of our waterways. Local fisherman Peter Knutson of Loki Fish Co. interviewed by Mike McCormick on KEXP 90.3 on the battle to ban Atlantic salmon net pen farming in Washington state. Listen to the interview (select Sat Feb 10, Mind Over Matters, and choose 7:30AM). Posted in Food Justice Blog Posts, News, Projects, Slider.